Below is a comprehensive list of hotels in Chudleigh. Use the sort links to refine your search or to find featured accommodation in Chudleigh. Many of our hotels in Chudleigh feature no booking fees and best price guarantee when booked through the Pictures of England website. To list your hotel in Chudleigh, click here. Situated in Chudleigh in the Devon Region, 18 km from Torquay, Farmborough House boasts a terrace and views of the garden. Free private parking is ava..
Offering a seasonal outdoor pool, Finlake Lodges is situated in Chudleigh, 17 km from Torquay. Plymouth is 44 km from the property. Free WiFi is offer..
Dunley Farmhouse is a holiday home with a barbecue, set in Bovey Tracey. The unit is 17 km from Torquay. Free WiFi is available throughout the propert..
Lake View is a holiday home featuring a garden with a barbecue, situated in Bovey Tracey. The property is 18 km from Torquay and free private parking ..
Set in Bovey Tracey, this holiday home features a garden with a barbecue. The property is 18 km from Torquay and free private parking is offered. The.. Situated in Bovey Tracey, this holiday home is 18 km from Torquay. It provides free private parking. There is a dining area and a kitchen. Towels and..
Acorn Cottage is a holiday home situated in Bovey Tracey, 18 km from Torquay. You can fire up the barbecue for a tasty meal and enjoy the garden in fa.. 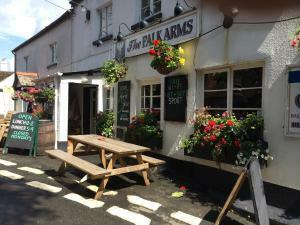 The Palk Arms is a 16th Century Free House, situated 2 miles from Bovey Tracey, within Dartmoor National Park. This relaxed pub has locally brewed rea..
Bottor Rock Lodge is a holiday home set in Bovey Tracey, 19 km from Torquay. The property is 43 km from Plymouth and free private parking is available.. Featuring free WiFi and garden views, Cherry Tree Cottage is a holiday home, located in Bovey Tracey. The unit is 18 km from Torquay. The unit fitted..
Virginia Cottage is a holiday home located in Bovey Tracey, 18 km from Torquay. The property is 42 km from Plymouth and free private parking is featur..
With free Wi-Fi and free parking on site, The Cromwell Arms is a 17th century oak-beamed coaching inn situated in Bovey Tracey. On the edge of Dartmoo..
Oakleaves is a holiday home set in Teigngrace in the Devon Region and is 12 km from Torquay. It provides free private parking. The unit is fitted wit.. Situated 12 km from Torquay and 42 km from Plymouth, Acorn Cottage offers pet-friendly accommodation in Teigngrace. The property features views of the..
Twelve Oaks Farmhouse offers pet-friendly accommodation in Teigngrace, 12 km from Torquay. The property features views of the garden and is 42 km from.. Featuring a garden, Barnyard Cottage is a holiday home set in Teigngrace. It provides free private parking. An oven, a toaster and a refrigerator can..
Set in Teigngrace in the Devon Region, this holiday home is 12 km from Torquay. The unit is 42 km from Plymouth. There is a dining area and a kitchen.. Situated in Teigngrace, this holiday home is 12 km from Torquay. 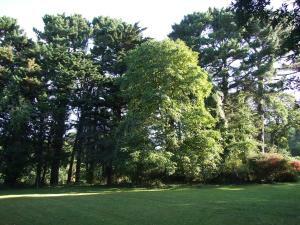 The property boasts views of the garden and is 42 km from Plymouth. The kitchen feat..
Madeleine is a holiday home set in Dawlish, 13 km from Torquay. The property is 16 km from Exeter and free private parking is featured. There is a di.. Located in Dawlish, this holiday home is set 13 km from Torquay. 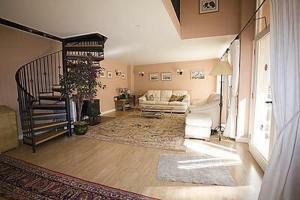 The property is 16 km from Exeter and free private parking is offered. The unit is e..